There’s an awful lot of confusion in the area of copyright about what is and what isn’t in the public domain. I liked a photo from the 1800s that I saw on the cover of a book. I wanted to animate it for a short YouTube video and didn’t want to risk getting sued, so I called the publisher and asked if I could use it, since it was in the public domain. The publisher said I had to pay, I think, $25 for each site I put the video on, because the photograph was a separate work and had its own copyright. I now believe that was wrong, and the photographer had no control over the use of the photograph of a work in the public domain. To try to figure out why Sondra may be headed off in the wrong direction, we have to first clearly understand where the public domain is — what’s in it and what’s not. So for our purposes, we really really want things to be in the public domain, because we can use them freely, any way we want, for any purpose (with some limits2), without needing permission from the original author or photographer — the creator of the work. • It was once copyrighted but the copyright has expired. • It was never copyrighted at all — usually because the creator of the work didn’t take some needed step to copyright it back when the law required specific things like notice or registration. So… since the photo in Sondra’s case was taken a long time ago and it’s been published, it’s public domain, right? The mere fact that something’s been published doesn’t put it automatically into the public domain. If that were true, nobody would ever write any books or publish collections of photographs. Even it’s been uploaded to a website, that doesn’t put it automatically into the public domain. Many, perhaps even most, of the materials used on websites all around the world are copyright-protected. Publishing on the web isn’t any different than publishing in book form: either way, the person creating the work gets copyright protection for a period of time. So it can’t be the fact of publication alone that says whether something is copyrighted. What about the fact that the picture is from the 1800s? • Under current US law, an unpublished work is copyrighted for 70 years after the death of the author.4 So a photo taken in the 1800s by a photographer who lived until the late 1940s is still copyright-protected. Applying those rules to Sondra’s case, the book publisher could very well have been telling the truth. Let’s say, for example, that the photo was taken in 1860 by a 20-year-old photographer who lived to be 90 years old — so he died in 1930. His heirs or his estate would have owned the copyright on his unpublished work for 70 years after his death — so until the year 2000. If the estate sold the rights to the photo to the book publisher in 1988, and the book was published in 1990, that published photo would be under copyright protection until at least 31 December 2047. So where is — what is in — the public domain? Not always where, or what, we think. I see many blogs that contain images of one sort or another, many that have in turn come from other websites (I have seen them in more than one place, for instance). There is rarely, if ever, any attribution, mention of copyright, “in the public domain” etc. Doesn’t this make the use of such images decidedly “dodgy”, if not actually illegal? And what if it is a foreign blog/website (ie not American) – does the long arm of the American law reach overseas? Many blog owners license images from stock agencies (I do, for example), but they’re not exclusive licenses: anybody who buys a license can use it. So it’s entirely possible that one image can be used on many sites and just be licensed to them all. That being said, yes, there’s a lot of copyright violation on the web, and we can only hope people get educated and stop doing it. American law doesn’t cross international borders, but most countries are signatories to international treaties that would apply in the foreign country. Thanks! I rather think the stuff I have seen IS copyright violation (this is not by well-known bloggers, of course, but “stream-of-consciousness”, poor English-grammar, bad-spelling ones!). I don’t seek them out! More likely a link takes me there, but there is rarely anything useful to be found. Works published or registered in the U.S. before 1923 are now in the public domain. Explanation: According to the Copyright Act of 1976, works registered for copyright or published with a copyright notice were protected for a maximum of 75 years of copyright protection, assuming the copyrights on the works were renewed (28 years first term plus 47 for the second, if renewed). Public Law 105-298 enacted in October 1998 increased the maximum to 95 years [28 years first term and 67 for the second, if renewed]. Before 1998 the longest amount of time a work could be protected was 75 years, so works before 1923 were no longer protected (1998 minus 75 years equals 1923). When the law changed, the 1923 date was ‘frozen” and will remain so until 2018 [2018 minus 95 equals 1923]. Starting in 2018 the date that works are no longer protected will again change yearly, being calculated as the current year minus 95 years. You’re right that anything published in the United States before 1923 is now in the public domain (at least if it was public lawfully). That doesn’t mean a thing for this particular example. I stated, accurately, that “it can’t be the fact of publication alone that says whether something is copyrighted.” At the very least it’s a combination of publication plus the publication date or, in the case of previously unpublished materials published in the time frames set out, the creation date, copyright status at the time of publication and publication date that have to be referenced. Ok but realistically, for photos made in the mid-1800s, most photographers cannot be identified. So it is highly unlikely the publisher would actually own the copyright. If I were Sondra I would insist they prove the ownership prior to paying them anything. You can insist all you like, but what are you going to do if they ignore you? Publish it anyway and risk getting sued? Due diligence has to be on both sides. This does illustrate once again how ridiculous the copyright laws have gotten. While I applaud their purpose, the Constitution gives the Congress the right to provide copyright protection for a “limited period” (or perhaps “limited periods” — I don’t have the time at this instant to seek the exact wording). While a strict definition of the term “limited period” could just mean it’s not unlimited, I don’t think 150 potential years is what the Founding Fathers had in mind. I agree, Dave. I know Congress was trying to reduce opposition to the revision of the laws at the time of the overhaul in the 1970s, and wanted to provide an incentive to those who would publish previously unpublished materials, but the end result then — worsened with subsequent extensions — is really out of whack. Ah, good to know. Thanks for the correction! The thing about scanning has always confused me. I collect and use a lot of old maps and every place I’ve seen that has maps before the 1920s all have copyright notices on their pages. Even something like the David Rumsey map collection says they hold the copyright to the images. I’ve noticed a few places that charge huge amounts for the ability to have a copy of their scan as they claim copyright for it. Are these companies just hoping that people will abide by what they say on their web page and not question it? They are asking you to pay for their time and effort in creating the scanned version. If you got a copy of the original and made your own scan you would not have to pay them. So what denotes “some level of creativity” or “altered from the original in an artistic way” for a copy of a public domain work to be considered a copyrighted? I was having this discussion with someone who felt “several minutes” spent manually adjusting levels of color and contrast to correct a faded photo counts as creating a copyright to the altered work. As a photographer myself who sometimes spend HOURS working on post processing, I was not 100% convinced that so little work spent on a public domain photo (especially to simply correct fading over time, not to create something new) would count as creative or artistic enough. What would be your opinion on this? I certainly can’t estimate what would be enough, but would be happy to opine that changing contrast and color levels would not be. Thank you so much for the reminder that 1923 is not an absolute benchmark for copyright protection. It absolutely is, Jade. There’s a reason we all say “the devil is in the details”! So a family photo that we receive may not be used in a family history book? I’m thinking photos from 1860 on. Some studio photos and some snapshots. Many of the studios are long gone and there is no way to know who took snapshots. Many early studio photographs were taken at a time when the law generally provided that the person who hired the photographer then owned the copyright. (That’s not the law today — today the photographer keeps the copyright unless there’s an express written agreement to the contrary — but it was in the past.) And the use of the vast majority of old family photographs may well fall under the general exception in the law called “fair use.” That’s a complicated topic, and one we’ll look at in some depth in 2016. Yes, that’s my issue. Hundreds of family photos have been handed down to me from 1910s-1940s, and in most cases, I don’t know who the photographer even was. I’d like to use photos to add color to some of my family stories, but I’m not sure if I can! If I inherited photos from my mother that were taken by my grandparents, do I hold the copyright to them and do I have the right to use them as I wish? To my knowledge, they have never been published. You’ll probably find your answer working through the post Copyright and grandmother’s writings. Do the same rules/laws apply for images and printed material? And do I understand correctly that if I write something–a family history just for family use, say–and put on it “copyright myname 2015” that’s as valid as filling out the official forms, etc? All I want is to assure that someone quoting from it will give me credit. Some years ago, I discovered a book my gg grandfather wrote in three parts beginning in the early 1860s, and published with two different printers. A copy of the complete book, each section dated, ended up in the Library of Congress, no copyright. Would making a copy of this book, for my own use, be legal? And if so, is the reason that it’s pre-1923, or the lack of a copyright? (a) Yes, the same rules apply no matter what you’re creating, as long as it’s copyrightable. So a book, an article, a photograph, an opera — all the same. 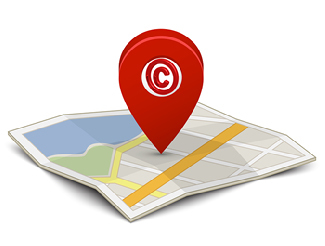 (b) You don’t have to say “copyright 2015 YourName” any more — but it’s a good idea to do it anyway. (c) The difference between filling out the forms and not filling out the forms is that you can’t sue until you do register. If you don’t intend ever to sue and what you want is credit, just saying it’s yours is enough. (d) One likely reason the book sections ended up in the Library of Congress is that filing a deposit copy was part of the copyright registration process. You can check and see if he actually had a copyright from 1870 on in a card catalog at the Library of Congress. But yes you could republish it, even for profit, because it was originally published before 1923. The black and white rule is: anything legally published in the US before 1923 is now out of copyright. An interesting and complex topic. Let me ask that you consider, perhaps in the future, some additional twists. 1. Foreign copyrights. The UK, and its associated countries such as Canada, Australia, etc., claim copyright (or some similar term) for all their historical material and, I believe, the information in the records. That includes, e.g., Scotland’s Old Parish Records from the 17th century, all of which have been available through the LDS and other sources for decades. How can those claims fairly be addressed? Interesting and helpful post, and fascinating discussion going on above in the comments. Thank you for sharing it. I have included this post in my current NoteWorthy Reads post: http://jahcmft.blogspot.com/2016/01/noteworthy-reads-25.html. Are photos I took and posted on Findagrave copyrighted??? You automatically have a copyright on any photograph you take that has even a slight creative element to it. So if you carefully chose the angle and the lighting, then yep — they’re copyrighted, and you own the copyright.